Rockets to win NBA title at +900 with 888Sport. Bet Chris Paul to get double-double Friday vs. Clippers at -153 with 888Sport. Bet Rockets -4 over the Clippers at -153 with 888Sport. 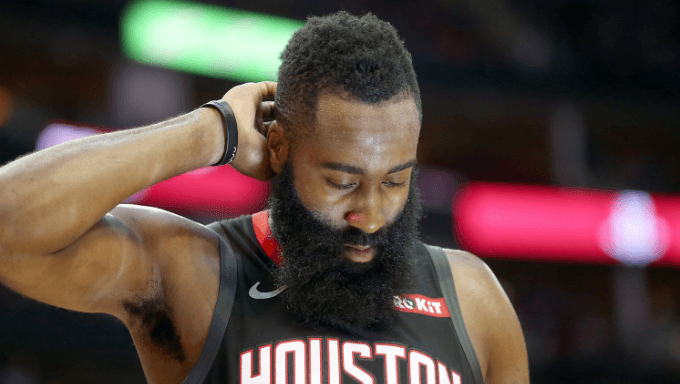 Things haven’t exactly gone well for the Rockets since Chris Paul injured his hamstring late in Houston’s Game 5 win over the Warriors in the NBA Western Conference Finals. The 65-win Rockets lost Games 6 and 7 sans Paul, then lost two key wings in Trevor Ariza (Suns) and Luc Richard Mbah a Moute (Clippers) to free agency. They replaced those two with Carmelo Anthony, whose All-Star days are well behind him. Then the new season began, and the woes continued. They were smoked on opening night by the New Orleans Pelicans, allowing 149 points in an embarrassing loss on national TV. Their only win came against the Lakers in a game in which Chris Paul was suspended two games for his fight with Brandon Ingram and Rajon Rondo. The Rockets lost both games with Paul out, including an 89-point showing against the Jazz on Wednesday. Then even worse news came down on Friday. James Harden suffered a Grade 1 hamstring sprain and won’t be evaluated for a week. The 1-3 Rockets have two tough home games (Clippers and Blazers) before embarking on a five-game road trip. Got all that? Basketball oddsmakers sure have noticed. In NBA Finals betting, the Rockets have moved from +600 to win the Finals to +900 on 888Sport in a matter of three days, falling behind Boston (+700) for the second-best odds behind Golden State (-200). Houston is now +550 to win the West, a slight tick worse than the +500 odds it had before the season began. But is now the time for NBA betting fans to hop on those odds? On Thursday, ESPN’s Adrian Wojnarowski reported that the Rockets – perhaps because of their awful start – have re-opened negotiations with the Minnesota Timberwolves about acquiring four-time All-Star Jimmy Butler. Houston has reportedly put four first-round picks on the table, a significant offer considering Butler will be a free agent next season and Houston already has $143 million in salaries committed next season. Depending on who went back in a Butler deal with the draft picks – it wouldn’t be any player that hindered Houston’s chances at a title, obviously – the Rockets would put themselves right back in the hunt in the Western Conference. Though Butler isn’t the kind of 3-point shooter Mike D’Antoni likes in his wings – Butler is a career 34 percent behind the arc, though he’s shooting 43 percent this year – he is a lethal attacker at the rim and drawing fouls, just like James Harden. Butler would thrive in this system and his defensive prowess would help a Rockets defense that ranks near the bottom in most statistical categories that matter. Last year, Harden missed seven straight games in early January, and Paul took advantage in a big way. He averaged 22.4 points, 7.1 rebounds and 9.7 assists in 33.3 minutes. Harden missed two other games last year, and Paul double-doubled in both with points and assists. D’Antoni is going to rely heavily on Paul in a difficult point guard matchup against Patrick Beverley. We love Paul’s -155 odds on 888Sport to record a double-double. Paul had one the night he got into that altercation, going for 28 points and 10 assists even with Harden (36 points, 5 assists) in the lineup. The Clippers have been better than expected, while just about everything’s gone wrong the Rockets. And yet, they’re back home and get a rested (and motivated) Paul. Not having the MVP hurts, but the Rockets have the firepower to withstand Harden being out for a week. We like the Rockets to bounce back and the Clippers to regress some after a 2-2 start. Grab the Rockets at -4 on 888Sport. There’s no denying Houston is a mess right now. But let’s not be rash. Harden’s injury isn’t a long-term concern, Paul is back from his suspension and they look like the favorites to add an All-Star to a core that includes Harden, Paul and Clint Capela. That four-man group could rival Golden State’s Big Four (Durant, Curry, Thompson, Green) in a seven-game series. So, while it looks ugly in H-Town right now, perhaps now is the time to jump on those +900 odds with 888Sport before D’Antoni, Harden and the rest right the ship and start looking like contenders again.